Taking this opportunity, I would like to thank the OHCHR for their annual report on the Situation of human rights in Afghanistan and technical assistance achievements in the field of human rights. We take note of the High Commissioner’s recommendations in this endeavor. Human rights are at the core of the Afghan constitution. Drafted in the background of an imposed conflict for nearly four decades, our constitution was written with a renewed vision of upholding the central values of human rights. 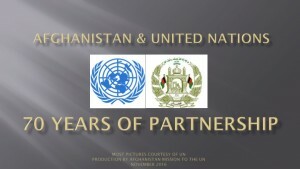 Hence the promotion and protection of human rights is a constitutional obligation of the Government of Afghanistan. My government is strongly committed to its full realization. Despite facing massive security challenges, our current reform agenda progresses at a rapid pace, with promotion and protection of human rights as its core principle. The Afghanistan Peace and Development Framework (ANPDF), setting our path towards self-reliance, has ushered in institutional reforms across sectors. Poverty alleviation, increased employment opportunities, improvement in health and education indicators, as well as adherence to the rule of law, and combating corruption are key priorities for the Government, which underlies our efforts in upholding human rights for all Afghans. In this regard, Afghanistan’s Independent Human Rights Commission has taken a key role in monitoring, promoting, and protecting human rights at all levels. Further, today Afghans freely exercise their freedom of speech and expression. Our diligent efforts in realizing these basic rights have led our media to be one of the most open and vibrant media in the region. However, despite significant gains, the ongoing imposed war against the Afghan people has deprived us of our basic right to life. Just in the first half of this year, 1,692 Afghans lost their livesto the war. Women and children have always suffered disproportionately in armed conflicts, and the same is true for Afghanistan. The ongoing violence has robbed thousands of young Afghans of their innocence; many have fallen victim to the ongoing bloodshed, have lost limbs in landmines, recruited as child soldiers, and in some cases, brainwashed by morally corrupt agents to carry out heinous suicide attacks, which must be prevented on an urgent basis. The Government has taken strong measures in safeguarding the rights of children. Tangible measures taken by us include the enactment of national legislation to implement commitments under various international instruments, including the Convention on the Rights of the Child on the Involvement of Children in Armed Conflict and its Optional Protocol. Further, we have a new penal code that criminalizes the sexual abuse of children, and intend to regulate the Juvenile Rehabilitation Centers, expand the presence of the Child Protection Units in the Afghan National Police recruitment centers and continue our campaign of promoting children’s rights. Empowering women and protecting their rights constitute one of the main pillars of our National Priority Programs (NPPs). In this regard, our progress has been phenomenal, compared to the dark times Afghan women faced under the Taliban. Today, our Government has made women’s empowerment a key issue, and to embark on this journey, we had launched our National Action Plan on the implementation of UNSCR 1325 on women, peace and security. This plan aims to increase women’s participation in decision making process, especially in senior levels of public administration, peace process, and security sectors, provide increased access to healthcare and other support services to survivors of sexual and domestic violence, improve education and employment opportunities, and protect women from all forms of violence. At the international level, Afghanistan adheres to the United Nations core international human rights treaties, and have signed and ratified seven core international human rights conventions. 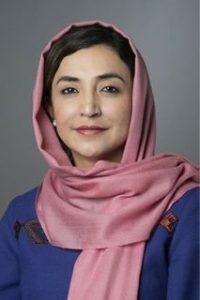 In this regard, it must be noted that Afghanistan was among the first Islamic countries to support the approval of the Universal Declaration of Human Rights in 1948. 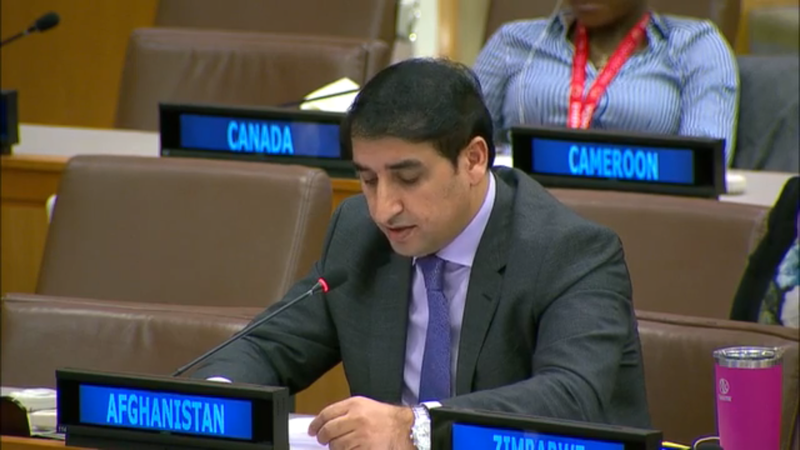 This year, we have also ratified the Optional Protocol to the Convention against Torture and Other Cruel, Inhuman or Degrading Treatment or Punishment, which is a further step towards streghtening our international committements. Afghanistan was elected to the Human Rights Council (2018-2020) and we have been an active member of the Council, advocating for universal human rights principles and values. However, as we advocate for a more peaceful world where human rights for all is respected, terrorists and violent extremists have continued to attack our people, thereby adversely affecting the full enjoyment of our political, civil, economic, social and cultural rights.This is why my government initiated the resolution on establishing an international day to remember of and pay tribute to the victims of terrorism. Through this resolution, we are garnering international support to enable victims to resume exercising their inalienable rights. In the last seventeen years, our committed efforts to protecting the rights of our people have transformed Afghanistan into a free society. Yet, the protracted imposed conflict has hindered our ability to fully enjoy our natural rights. Needless to say, these challengesdo notand will not deter our resilient people from attaining their rights.